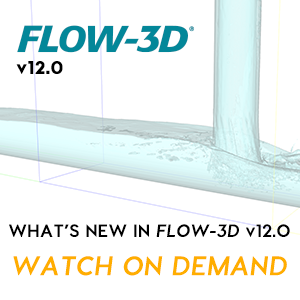 Flow Science supports FLOW-3D on 64-bit Windows and Linux platforms. The configurations below have been updated for FLOW-3D v11.2. For Skylake and more recent CPUs, please ensure all DIMMs are populated for best performance. Support for users who have installed FLOW-3D on “compatible” Linux distributions (such as Fedora, Scientific Linux, Debian, Ubuntu) will only be provided when a problem can be reproduced on Flow Science’s RedHat and Novell enterprise-class Linux distributions. Windows Server 2016 is not supported. For those interested in running the distributed-memory version of FLOW-3D, you can find more information about hardware and operating systems on the FLOW-3D/MP Supported Platforms page. FLOW-3D and FlowSight require modern graphics cards with up-to-date drivers to perform satisfactorily. nVidia Quadro K and M series cards are highly recommended. nVidia driver version 341.05 or newer is highly recommended. AMD FirePro W series cards and nVidia GT/GTX graphics cards work with some limitations, including difficulty with remote visualization tools such as Remote Desktop. Intel integrated graphics cards are not supported. Built-in server motherboard graphics cards do not support 3d acceleration and are not supported. FLOW-3D uses FLEXlm for license management. If you choose to employ the FLEXlm floating manager on a Windows network, your network server must be running Microsoft Windows 7, 8, 8.1, 10, Server 2008, or Server 2012 and you must use a hardware key (dongle). Users who wish to customize any of the subroutines that Flow Science distributes as part of the standard installation will need a license for the Intel Fortran Compiler 2016. Users running Windows operating system will also need Visual Studio Professional Edition 2010 or Visual Studio Professional Edition 2013. For a more detailed discussion on supported hardware, please consult the Installation chapter in the FLOW-3D user documentation.